A European kingdom needs a large building, Carlo di Borbone commissioned to build Caserta as his residence by putting it in competition with Versailles and Shonbrunn. The result is the magnificent palace designed by the famous architect Luigi Vanvitelli, who glorifies the kingdom of Charles and reveals the king’s ambitious political project. 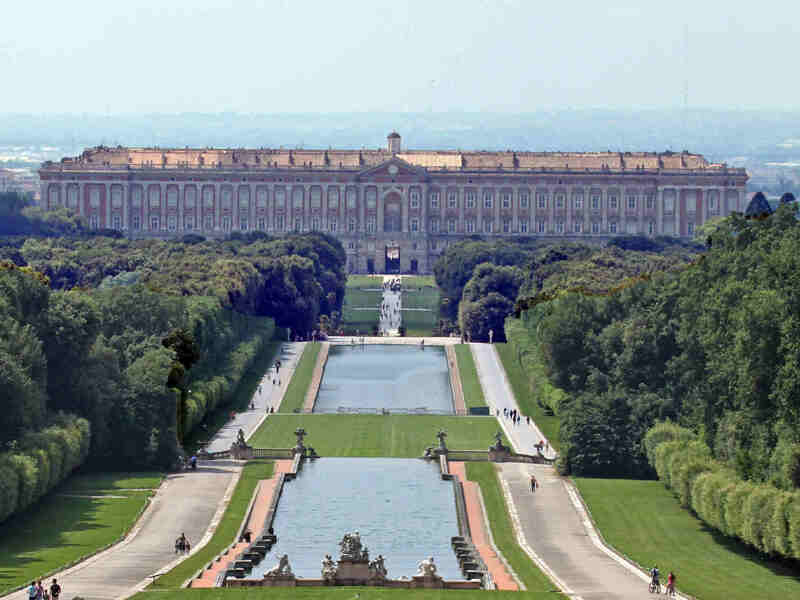 Today the Royal Palace of Caserta is on the World Heritage list: one of the few places on earth considered by the United Nations as having exceptional universal value. Visit the Royal Apartments, with their magnificence and with a bus ride through the gardens to the waterfalls. A special look will be given to the English Gardens, built at the behest of Queen Maria Carolina, a great example of romantic taste, where beauty and harmony are the only sovereign.